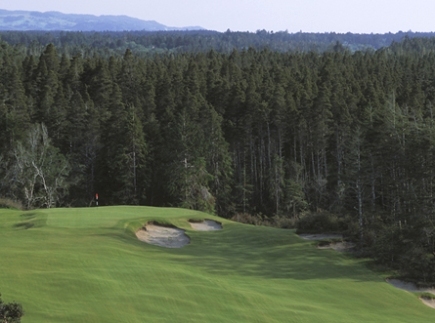 Sunset Bay Golf Course, is a Public, 9 hole golf course located in Coos Bay, Oregon. 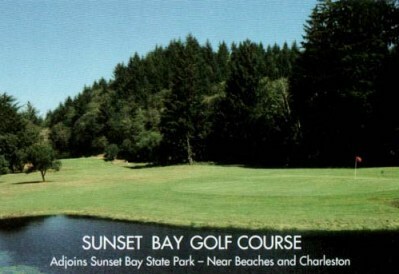 Sunset Bay golf course first opened for play in 1970. 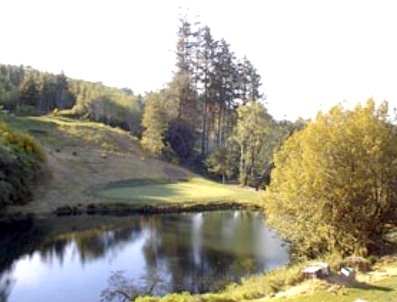 The course was designed by John Zoller. 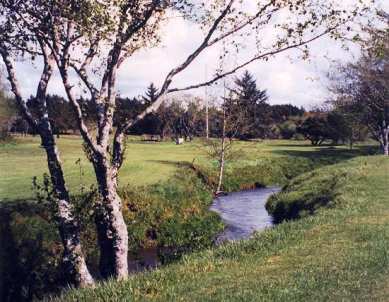 Big Creek figures prominently on eight of Sunset Bay's nine holes. 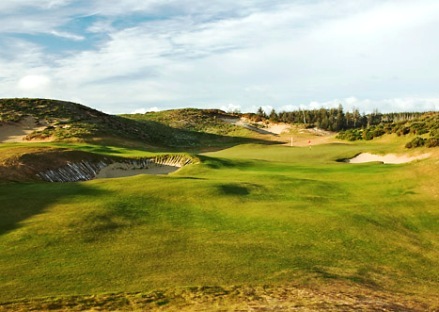 The dual-tee (par 35 per side) layout consists of a 3,030 yard "front nine" and a 3,035 yard "back nine." 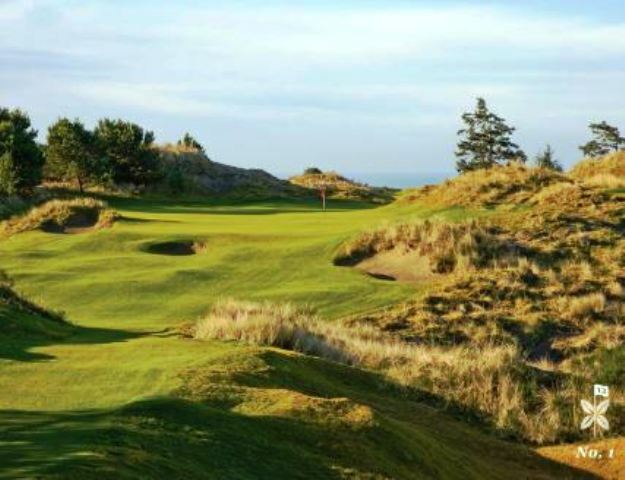 Sunset Bay is both green and open year round. 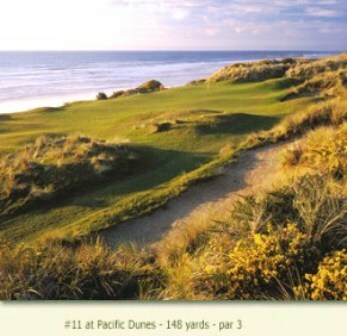 Hole #8 is a challenging par 5, 450 yard hole. 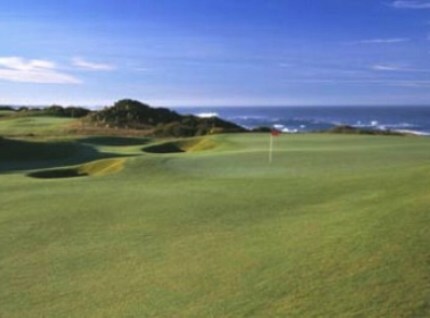 The hole has a 90-degree dogleg-right that winds around stumps to a sizable green trapped right-front.